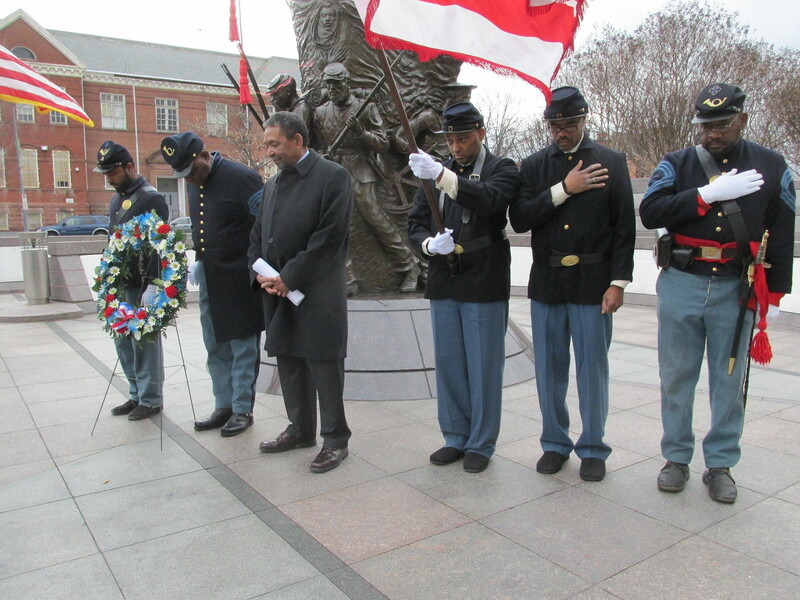 Wreath Laying at African American Civil War Memorial | Park View, D.C. There were a number of events held yesterday in connection with the Martin Luther King, Jr. Day holiday, a day when we reflect on both the history of civil rights and the work still left to be accomplished — as well as a day of service. Start of wreath laying ceremony at the African American Civil Ward Memorial. 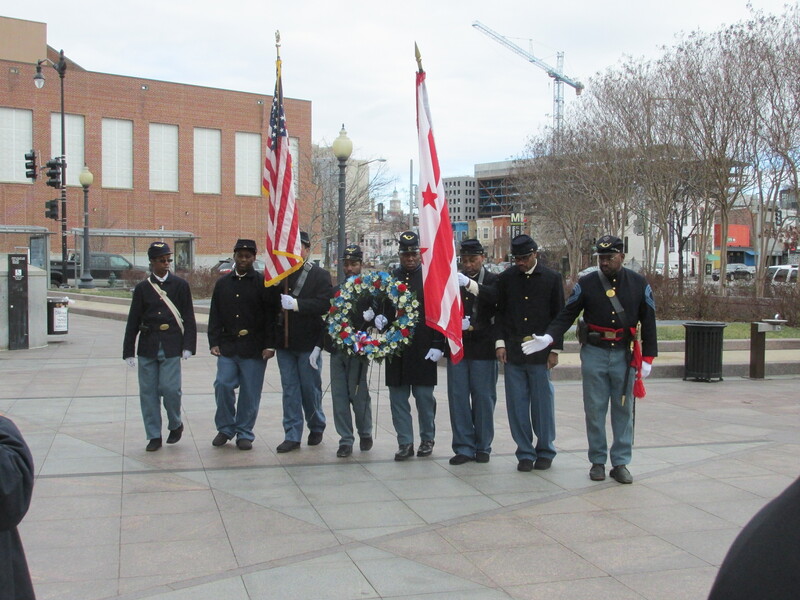 One of the events held yesterday was a wreath laying ceremony at the African American Civil War Memorial located at Vermont Avenue and U Street here in Ward 1. The ceremony began shortly after 11 a.m. and included a prayer, followed by a few words by Frank Smith, Founding Executive Director of the African American Civil War Memorial (and former Ward 1 councilmember). The ceremony closed with those in attendance holding hands and singing We Shall Overcome. Smith’s address referenced his own role in the civil rights movement and work with Martin Luther King, Jr., and how it was a continuation of the work left undone despite the passage of the 15th amendment in 1870 — which granted African American men the right to vote. By the late 1870s, especially in the south, state and local laws created barriers that prevented African Americans from voting. The Voting Rights Act of 1965 aimed to remedy this. With this in mind, the wreath laying at the African American Civil War Memorial was humble in comparison to the debt owed to those who did their part so many years ago to help make the world a better place. Below is a video of the ceremony. This entry was posted on January 20, 2015 at 7:01 am and is filed under History, National Monuments and Memorials. You can subscribe via RSS 2.0 feed to this post's comments.